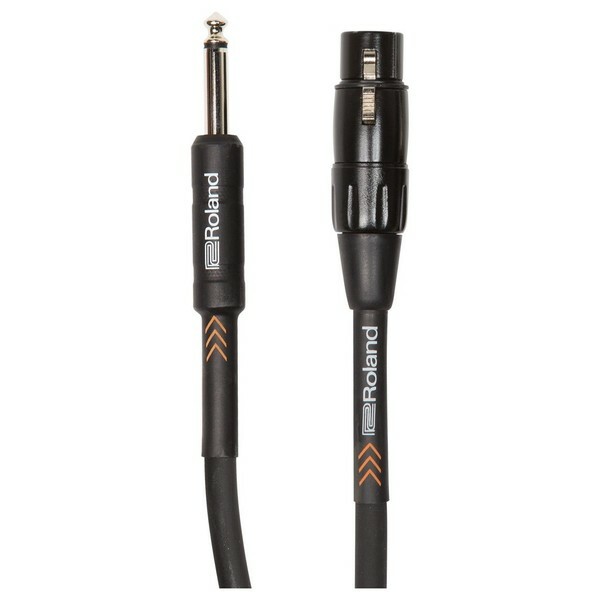 The Roland High Impedance Microphone Cable, 20ft/6m is the perfect choice for high-end, demanding microphones. The Black Series Microphone cable captures the true tonality of your voice or instrument. It utilises an oxygen-free copper core wire that delivers a wide dynamic range. This capture every nuance of your source audio with incredible detail. The sonic accuracy and natural sound reproduction makes the cable perfect for use with studio and live mics alike. The High Impedance Microphone Cable utilises high-density spiral shielding, helping to eliminate outside noise and interference. The high-quality connectors and low-capacitance design deliver exceptional sound quality. The rugged and robust cables can withstand the rigors of day-to-day use.